When is less – more? When you can do more with less! With the Omni-Balun, you now only need to stock one SKU on your trucks or in your warehouse instead of four or five! 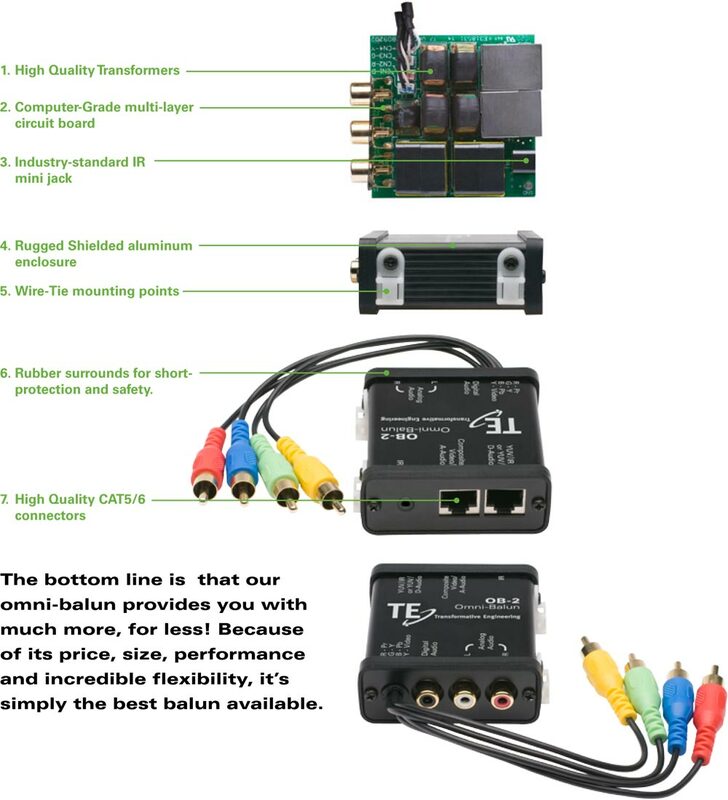 Our revolutionary Balun converts Analog Video (composite and component) and Analog and Digital Audio into CAT/5 or CAT/6 cable for extended runs of up to 300 feet at 1080i resolution. And it converts them all simultaneously! In addition, we’ve even included IRPass Thru connection on an industry standard mini-jack! Now your inventory needs can be reduced and you won’t be stuck on a jobsite with the wrong balun. That means less expense, less paperwork, and most important of all, less worry! What more could you want? How about the highest quality conversion transformers, housed in a shielded, extruded aluminum enclosure? How about integrated wire-tie mounting points? You get all this in one balun for far less $$$ than what you’d normally pay for any combination of other baluns, because you’d need multiple models to achieve all of the functions contained within one Omni-Balun. Take a peek inside the OMNI-BALUN and look at the quality and construction. 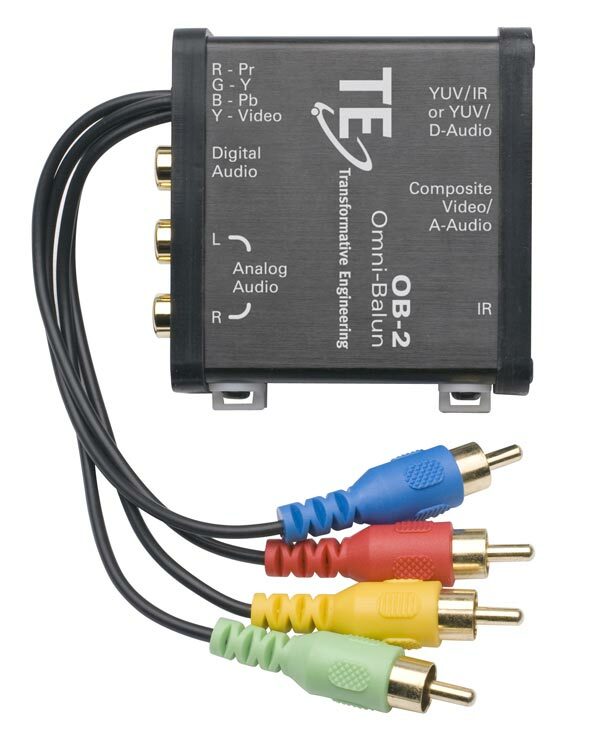 OmniBalun for Signal Conversion of Stereo Analog, Coaxial Digital Audio and Component and Composite Video Signals over UTP Cable, along with IR Pass-Thru. Redesigned for user-configurable use of single UTP for selected pathways. Must use in pairs, sold and packaged in pairs.